Sal Si Puedes is less reportage than living history. In its pages a whole era comes alive: the Chicano, Black Power, and antiwar movements; the browning of the labor movement; Chavez’s fasts; the nationwide boycott of California grapes. When Chavez died in 1993, tens of thousands gathered at his funeral. It was a clear sign of how beloved he was and how important his life had been. Peter Matthiessen is a winner of the National Book Award and the American Book Award and is the author of over thirty books of fiction and nonfiction, including The Snow Leopard (1978), At Play in the Fields of the Lord (1965), Far Tortuga (1975), In the Spirit of Crazy Horse (1992), and Bone by Bone (1999). Chavez's longtime spokesman and personal aide Marc Grossman is currently Communications Director for the Cesar Chavez Foundation. 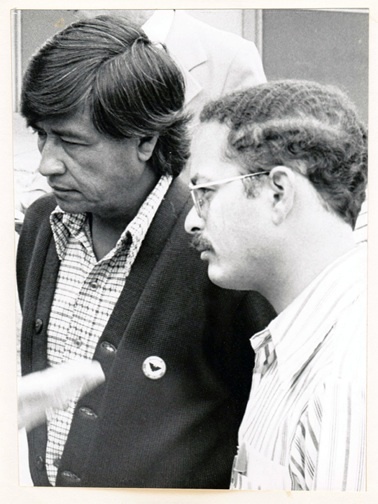 New Foreword writer, Marc Grossman (left), with Cesar Chavez in 1975. Grossman was Chavez's longtime press secretary, speechwriter and personal aide. 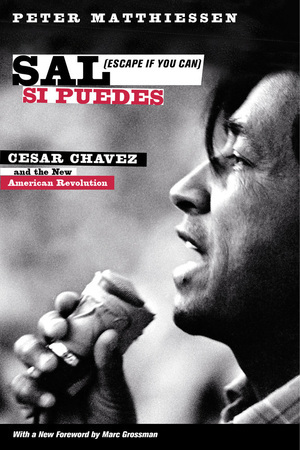 He is currently Communications Director for the Cesar Chavez Foundation.